Feel irritated because of sweating right after a bath? Not anymore! 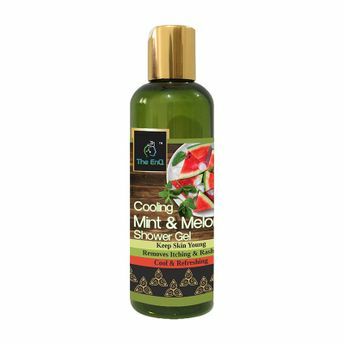 The EnQ cooling Mint & Melon shower gel with all the goodness of watermelon extracts and peppermint oil gives you a refreshing and cooling bath experience during and after a bath. Having two powerful ingredients, that gives all these benefits to your skin. Dehydrated skin that can lead to a dull and dry appearance, but high water content in watermelon helps to keep the skin hydrated and moisturised making your skin supple and fresh, it acts as s skin toner, prevents skin from ageing Watermelon is full of antioxidants such as lycopene and also vitamin C and A which helps reduce free radicals that can slow down the signs of ageing.